What is the Alternative — Really? Buona sera. No, I'm not going to be serious on you. Just a bit of pondering that was too long for yesterday's grouping. I like many kinds of music. My main choice is rock. There are so many sub-categories and styles, sometimes I wish people would take Billy Joel's remark to heart and say, "It's still rock and roll to me". Even so, I suppose some of the categories are useful. When I want to listen to Christian rock, I don't want to find my way through raunchy stuff until I get there. One category that kind of grinds my gears is "alternative". Alternative to what? It's still rock, isn't it? Sure, there's a style difference from "mainstream" rock. But then, rock itself is supposed to be non-traditional and rebellious. Also, "alternative" is what the 1970s and 80s punk and New Wave evolved into. (Yes, I said "evolved". In this case, the term is valid.) But I have some news for you, Buttercup. The "classic rock" group The Beatles were doing "alternative" music before the term was even considered! An even bigger gear-grinder for me is the synonym for "alternative", and that is "new music". Yeah. This genre, through its various incarnations, is thirty years old. It's not "new music" anymore. Stations like WRRV say that they are the "new rock alternative". Well...I hate to break it to you, but there are a heck of a lot of groups that have the same sound. I put it to you that "alternative" is just another mainstream, and "new rock" is not new. Not that any of this matters, I just wanted to spout off about it. Anybody else want to join in? While I'm waiting, I'm going to look for some music by Switchfoot. I maintain there is much more wonder in science than in pseudoscience. And in addition, to whatever measure this term has any meaning, science has the additional virtue, and it is not an inconsiderable one, of being true. Buona sera. I was going to go for something lighter, but Lee Strobel fueled more thoughts in me about evolution and random chance. I have always been amazed when scientists and anti-theists will say ridiculous things like the Carl Sagan (rhymes with "pagan") quote at the top. 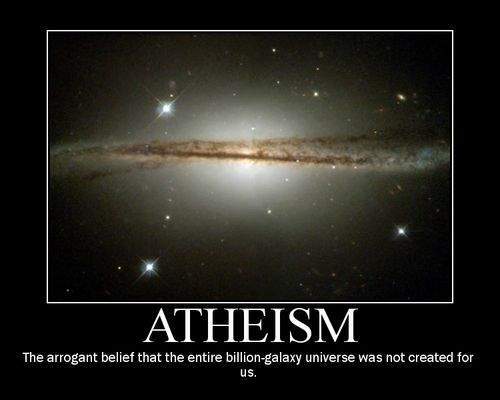 They will claim that belief in God is not only irrational, but that it takes away the wonder of the universe. Let me ask you something: Which is sillier, to investigate the way God has performed his wonders, or to investigate the dead ends of a philosophy that is based entirely on random chance? When a biochemist examines the intricacies of, say, a single cell, he or she is faced with astonishing complexity and evidence of design. And yet, there are people who believe that something as amazing as a single cell (let alone, an organism such as a human) can happen by chance, but the computer that they are using is a product of intelligent design. Listen up, Cupcake! If the odds are far enough against something happening, it will never happen, no matter how much time you give it. A single cell will not form by chance, nor will a human. The odds against it have too many zeroes! Reality has taken away from some of my joy in science fiction. When The Doctor finds a robotic life form that has "evolved intelligence", it depresses me because it is based on evolutionism and random chance. But it cannot happen! Robots are far, far less intricate than humans, and do not have any capacity for solo development. Even evolutionists should find that concept to be silly. Scientists just hate to admit that they do not know something. They have a great deal of faith that evolutionism will be vindicated, that "a mechanism for this to happen will be found one day" and so forth. Have you ever noticed how hot and bothered evolutionists and atheists get when someone offers an alternative explanation like, say, Intelligent Design? Lee Strobel quoted a scientist in The Case for a Creator that scientists propose hypotheses all the time, big deal. But this stuff, no, it's jealously guarded. I believe atheists defend evolution with the zeal of Al-Qaida destroying "infidels". Well, I'm a scientific infidel, because I cannot believe in their random chance faith. I am not a Creationist or proponent of Intelligent Design because the philosophies of science have failed to explain the origin and complexities of life, the universe and everything. 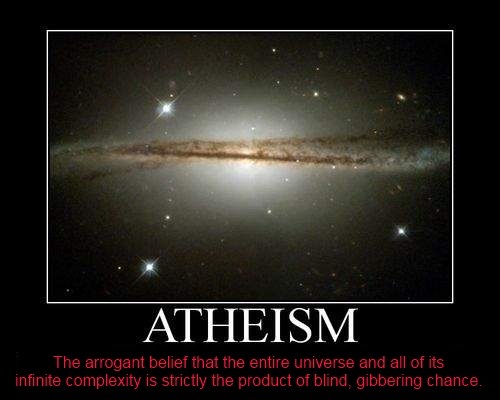 No, accepting Intelligent Design works for many of us because it is the best explanation. The facts and theories fit. It is more difficult to believe that there is no God than to believe in him. After all, the evidence is for his existence, and against the blind, gibbering god of random chance and evolution. "Before the mountains were born or you brought forth the earth and the world, from everlasting to everlasting you are God." Buon giorno. Today's visit will not be loaded with references and proofs. Instead, it will be a philosophical discussion to spur mental activity within people who are actually capable of rational thought. This was sparked by Lee Strobel's book, The Case for a Creator. An atheistic journalist with a background in law, Strobel tells of his discussions with extremely qualified scientists and how he lost his faith in atheism. Yeah, Zeke, I know that's what you're afraid of, but carry on, anyway, willya? The Case for a Creator goes against my grain in that it takes an old earth view, and I am a young earth Creationist and Catastrophist (read: global flood at the time of Noah). But he still manages to bring up some extremely powerful evidences against random chance and evolutionism. This is not an actual book review, and I want to make it clear that I'm putting my words in here as well as Strobel's words. In my own thinking, scientists are rejecting established cosmology and assumptions, but the orthodox scientific philosophy does not like to make that widely known. When I was teaching Creation Science about fifteen years ago, there were books available going against the establishment, such as The Big Bang Never Happened. That was certainly not a Creationist book, the author came up with another philosophy entirely that was outlandish. His problem was simple: Orthodox scientific philosophy did not have the facts on its side. I liked one area that Strobel emphasized, how scientists like to say that the Earth is nothing special, just another rock in space like millions of others. The problem is that there are too many special considerations and extreme coincidences that have to be in place to make life possible on Earth. It is all a very delicate balance, including the orbit of the moon, distance from the sun, the sun's position in the galaxy (too close, radiation from the galactic center will make all life impossible, for instance), the kind of galaxy that we are in and so forth. When you get into astronomy, geology, biochemistry and everything else, you can see that everything happening by chance is laughable. Saying that there is a creator is a logical part of the process, capice? Even simple cells are astonishingly complex, and we keep moving up into more difficult processes. Complicated systems within complicated systems — smacks of intelligent design, doesn't it? I have had to deal with the faith of orthodox science many times, and people insist on following the blind, gibbering mad god of random chance, despite all the evidence that they are full of hooey. (I've known people who are willing to believe the impossible, that our position in this universe is a series of fantastic coincidences. Oh, please.) And remember, evolutionism is the justification for leftist political philosophies, but never mind about that now. And these clowns have the audacity to say that I'm a fool for believing that the evidence points to a Creator! Agonizing. True science is willing to go where the evidence leads, and not ignore possibilities that do not fit the presuppositions of modern scientific philosophies. How scientific is this? Even though the evidence is not there, or contrary to what is observed, just believe in evolution, discoveries will be made to vindicate our beliefs. That is not science, that is faith! One book title I remember is The Wisdom of Evolution. Uh, last I knew, the only thing that could have wisdom would be an intelligent entity, not the processes of random chance. 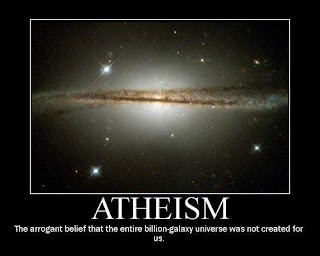 The arrogant atheist wants to destroy my faith and have me replace it with his mad god. Fuggedaboudit! The evidence is on my side, and I can't help it if he is going to choose to be willfully ignorant. My father had the belief that when people are getting into something very heavily, it is because they are seeking a religious (or mystical) experience. I have thought about that off and on for many years, and I see the truth of it more than ever. People have said that there is a "God-shaped hole" in everyone's life that needs to be filled, and only the right shape will fill it. A friend of mine on Facebook suddenly cut loose and started making "friends" seven ways from sundown, as well as becoming a fan of assorted things. These things are of a mystical nature, everything from a spiritual version of UFOs, social justice movements, necromancy and all sorts of hocus-pocus things. To use the vernacular, those things "creep me out". 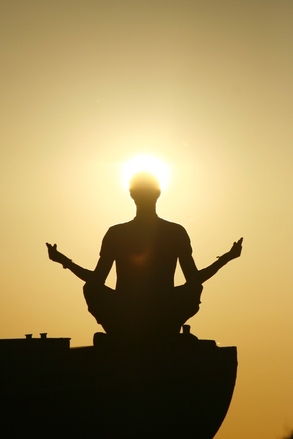 What are ways that we seek our own mystical experiences? You get the idea, that list can become huge. Mix and match while you're at it. Whatever distracts you from having a personal relationship with God, taking a great deal of your time, becomes our religious experience. I want to expand on the politics aspect. Ann Coulter has a book called Godless: The Church of Liberalism. It was fascinating! Naturally, it was from a political standpoint, but the truth is there: Liberalism is a kind of religion itself, with its own beliefs and sacraments. Last week, I heard an atheist Jewish liberal caller on the Mark Levin show get cornered. Levin said, "Liberalism is your religion". The caller said, "Yes". (The way the caller responded, I kind of wondered if it was the first time he had admitted that to anyone, even himself.) If you are forced to engage in political or religious conversations with liberals, keep an eye out for the attitude of fanatical religious devotion. One thing liberals hate about Conservatives is that most Conservatives consider themselves Christians. (How real their beliefs are, well, that's between them and God.) So, leftists hate Christianity (and beat up on Judaism for good measure), so they stomp on that as well as on Conservatism. The party of peace, love and grooviness is anything but that. There is more peace, love, kindness, generosity and all those things that liberals are pretending to represent on the side of Conservatives. And I believe much of that comes from their Christian hearts. That's right, I said it! Our belief is not in an elected official. Let me go a bit further. How much better would Conservatism be if the Christians involved were active in their relationships with God? Also, would liberalism even exist if liberals took God and the Bible seriously? (I have to grant them this, though, that the Jesus and Christians portrayed on movies and television would put anyone off!) Want to get things straightened out? Jesus is waiting to talk. The real one, that is, not the wimpy one that people imagine so they can feel comfortable with him.